Leave car in Portsmouth, overnight ferry 26 April (or come a day earlier for a more relaxed start to the weekend), leaving 22:45, arriving next morning at 6:45. An hour’s ride to Caen (17km), café breakfast and ready for a 9:00 (ish) start for the day ride. 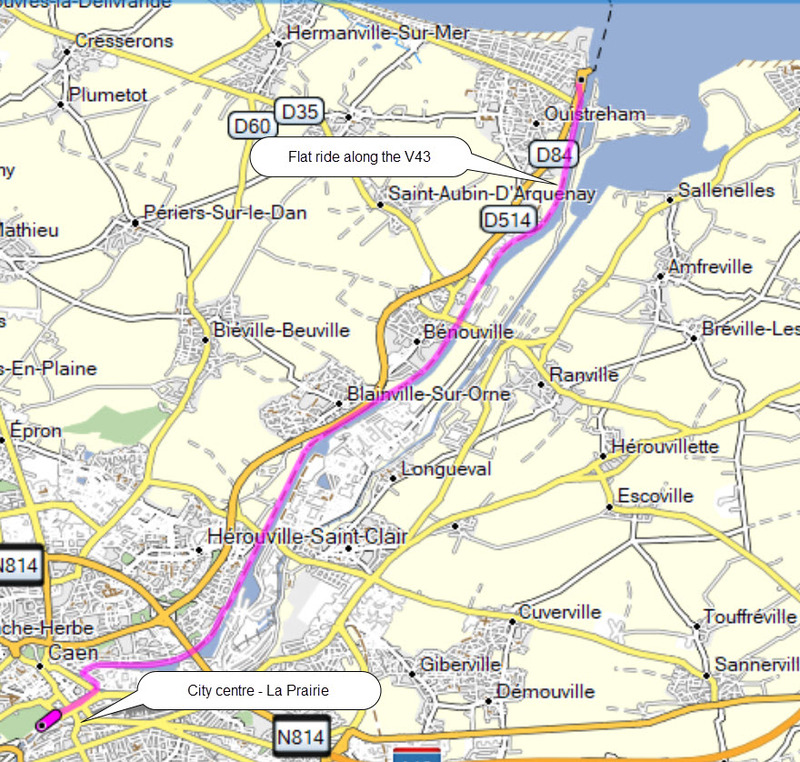 Staying in Caen overnight on Sunday seems to be more convenient than trying to catch a late ferry on Sunday evening. As well as cycling, there’s plenty to see in Caen. There’s an easy ride from the ferry at Ouistreham to the centre of Caen (17km), using the Velo Francette 43 (v43) which runs along the canal (Chemin de Halage). See map above and gpx file. Saturday ride starts Quai de la Londe 9am. Sunday ride starts La Prairie 9:00am. Coffee and lunch stops both days. Optional dinner Frid, Sat and Sun evenings (now booked). See gpx files for ride details. 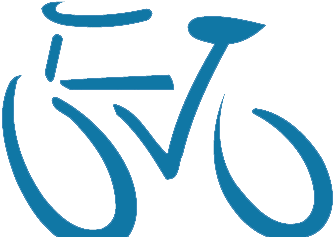 As usual with Oxford City Cycling holidays, you will book your own ferry crossings and accommodation, depending how long you want to stay. With both rides starting in Caen city centre, it will be convenient to book within reasonable distance of the centre. Gpx files show precise meeting points. You will receive full details by email.